If I wanted a longer headline, I could have thrown more religions onto the description of Bishop Carlton D. Pearson. I have never met him, but I love him dearly, and I’m surprised at how few of us know his story. Bishop Pearson followed his father and grandfather into the Pentecostal ministry, but he became the first in his family to go to college — Oral Roberts University, whose founder called Pearson his “black son.” With a quick mind, a lively sense of humor and a voice polished for both singing and preaching, Pearson had enormous success with white audiences as well as people of color. 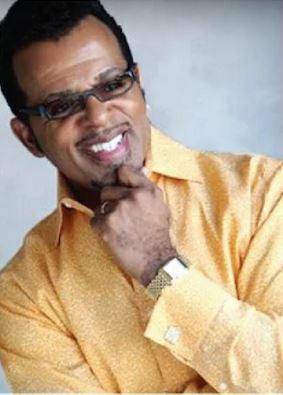 In 1977, he founded Higher Dimensions Ministries in Tulsa, Oklahoma, which in the mid 1990s had four associate pastors and average Sunday attendance of more than 5,000. He was consecrated to the office of Bishop in 1996, but as he continued to study the Bible in Hebrew and Greek, he began to have doubts about the Gospel he was preaching. Finally, watching the news one evening, as he saw the swollen bellies and sunken faces of Rwandan children in Uganda, he wondered how a loving God would ever condemn suffering and dying children to an eternity in hell because they had not accepted Jesus Christ as their savior. He heard God say: “You think we’re sucking them into hell? They’re already there.” And the Pentecostal bishop realized that his loving God didn’t create hell and would never send anyone there. He realized that we mortals create hell by what we do to each other. “We create hell,” he said. “My God loves you.” So he began to preach his Gospel of Inclusion, which his associate ministers and almost all of his congregants refused to accept. The Pentecostals officially declared him a heretic in 2004, and his membership dropped to 200. Bishop Pearson’s story up to that point is told in a December 2005 This American Life episode. But that was not the end of Pearson’s theological evolution or his success. He moved his congregation to All Souls Unitarian Church in Tulsa, and eventually the Unitarian Universalist church and the Pentecostal Universalist bishop’s congregation merged. His books include The Gospel of Inclusion and God Is Not a Christian, Nor a Jew, Muslim, Hindu… And he still preaches once a month at All Souls in Tulsa, which webcasts its services and makes the sermons available by podcast and video. I try to catch his sermons as well as those of All Souls’ senior minister, the Rev. Dr. Marin Lavanhar, whom I have mentioned in previous blog posts. All of this has been a lengthy introduction to a recent sermon Pearson preached at All Souls. I hear a lot of Buddhism, at least the way I interpret that religion, in it, but I suspect that readers of my blog will find a lot of whatever they call their religion in it. Do yourself a favor and click on the “play” arrow below.